Earlier in August, Muse announced that their new album 'Simulation Theory' would arrive on November 9. The announcement was followed by four early singles — 'Thought Contagion', 'Dig Down', 'Something Human' and 'Pressure', all of which came with music videos of their own. As we pointed out earlier, the music videos, lyrical themes, sonic feel and the artwork for the album all point towards the synth wave era of the '80s. We even called it a "maximalist crossover of Daft Punk, Tron and Stranger Things". Well, it looks like the 'Stranger Things' vibe of the album has a significant backstory to it. In a recent interview with Kerrang!, drummer Dom Howard revealed how they recruited the designer behind 'Stranger Things', Kyle Lambert, to provide the artwork for their latest album. He added: “We wanted to do it properly: we had to find the right person, it had to be illustrated by hand, it had to actually look like a movie poster”, Howard explained. Ultimately, after being thoroughly impressed by the art design of the Netflix hit show, the band approached Lambert for the job. “We looked at a few different people, but I knew that Kyle, who did Stranger Things, would be the one. I’d seen a load of his work aside from Stranger Things and I knew he could nail it," Howard explained. 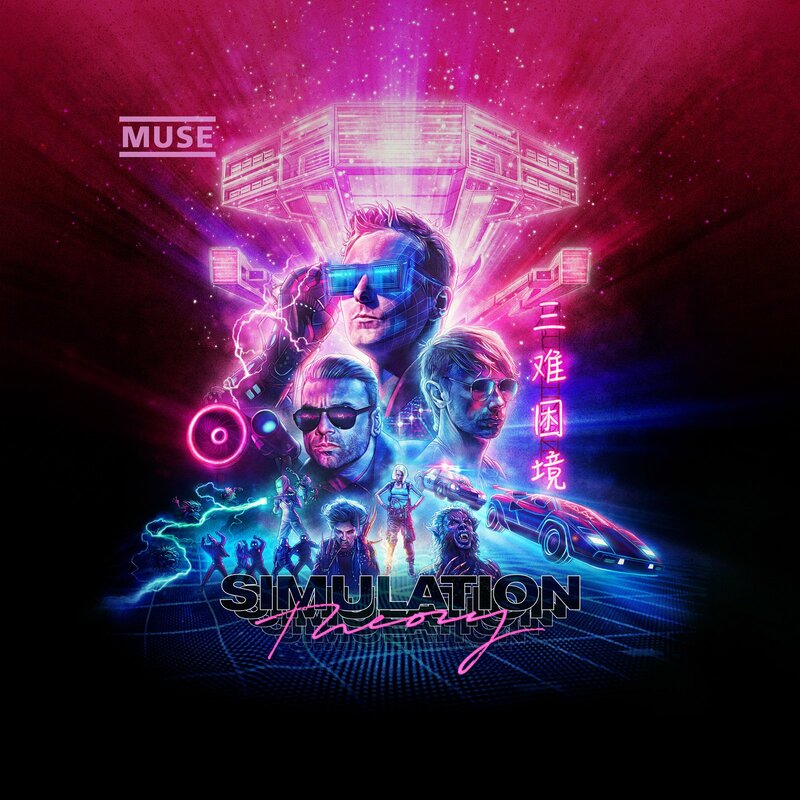 Official album art for Muse's 'Simulation Theory' by 'Stranger Things' designer Kyle Lambert. 'Simulation Theory' marks Muse's eighth full-length studio effort. It's the much-anticipated follow up to 2015's 'Drones'. You can pre-order the album here.